Information on Bowen Island's restaurants such as Artisan Eats, Bowen Island Pub, Bowen Shushi, Snug Café, and much more. will have limited hours and may be closed on Mondays. Best to call ahead and double check. July and August open 7 days a week. September - June: closed on Mondays. 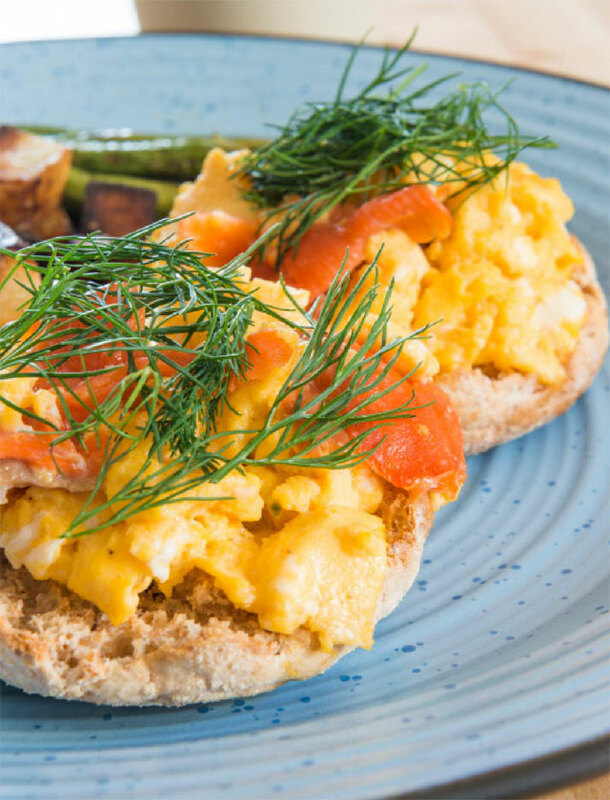 Simple breakfast available daily. Slightly more extravagant on Sundays. Fabulous Italian Coffee from the oldest roasters in Tuscany. Creative Panini, Tartine & Sandwiches. Local BC Cheeses, Cured Meats, Terrines, Pates, Antipasti. House Made Bread. Baked treats, smoothies... AND we’re ‘sensitive’ to vegetarians… sort of. The locals rave about this restaurant. And I have to agree...it is yummy and boasts a great view. We love any of their breakfasts while dining on the patio. We especially love the kale salad and the gluten free peanut butter cookies for lunch. Since 1987, the Bowen Island Pub has marked the center of the Snug Cove community and been the social and entertainment hub of Bowen Island. This iconic locals hang-out is located at The Four Corners intersection just 300 meters up the hill from the Snug Cove ferry terminal. 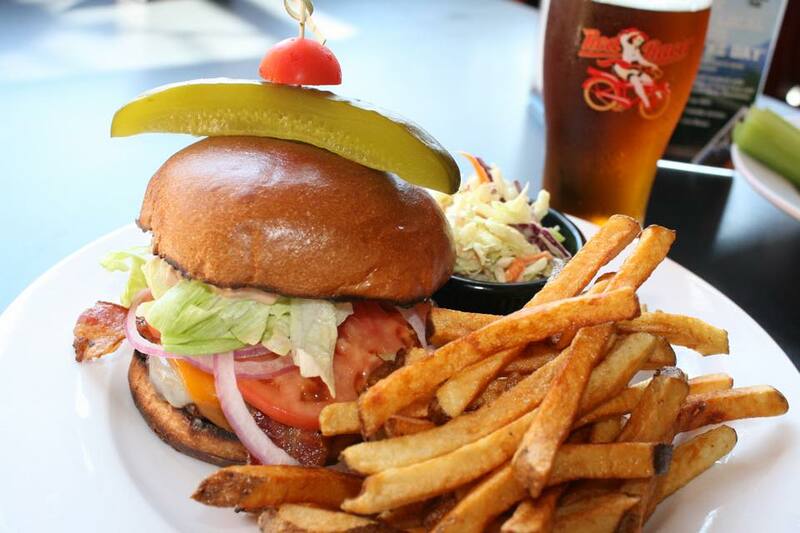 Open seven days a week for lunch and dinner, the Bowen Island Pub is great for enjoying a leisurely meal on the sun drenched deck or playing a quick game of pool while waiting for the next ferry. Featuring live music most Saturday nights and a lively crowd most every night, the Bowen Island Pub is the perfect place to meet old friends or new ones. 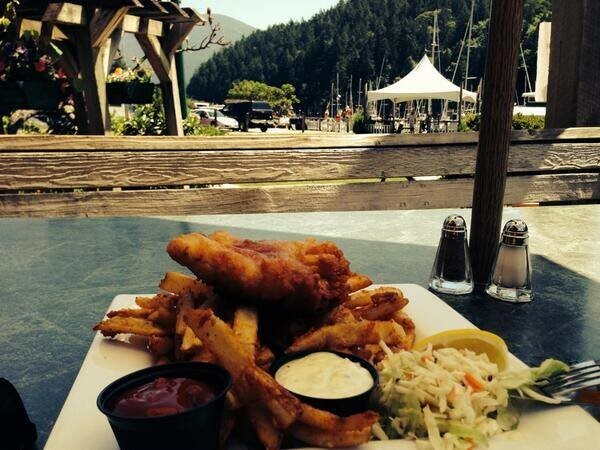 Whether you are an island local or a visiting guest, the Bowen Island Pub is… where you always feel you belong! We recommend their burgers (delicious) and we love their cob salads. Know that this building is old and will soon be replaced with a fancy new structure. You can see the plans here. Meanwhile the food is great. Check the web site for the daily specials. Hours: Wednesday through Sunday, 10 am until 5 pm. 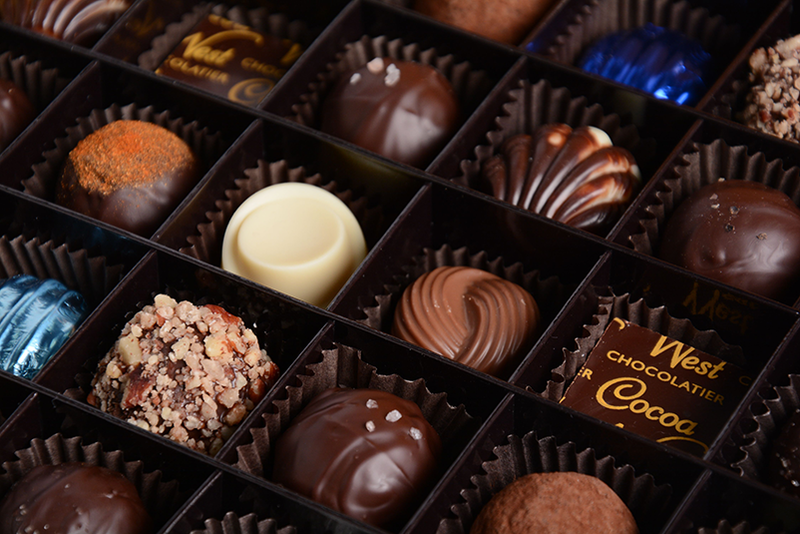 Organic Chocolate Cafe features artisan truffles made on-site with natural and organic ingredients. Home of our famous certified organic Hot Chocolate menu, Italian gelato and Coffee service. Wedding and special orders are welcome. Located in Artisan Square. We always make a point of having a gelato after a good walk around Kilarney Lake. We think you should too. Open daily from 11 am ....closing at 4 pm on Monday and Tuesday. Closing at 7 pm Wednesday through Sunday. The Cup Cutter restaurant is open from May until Septembr. 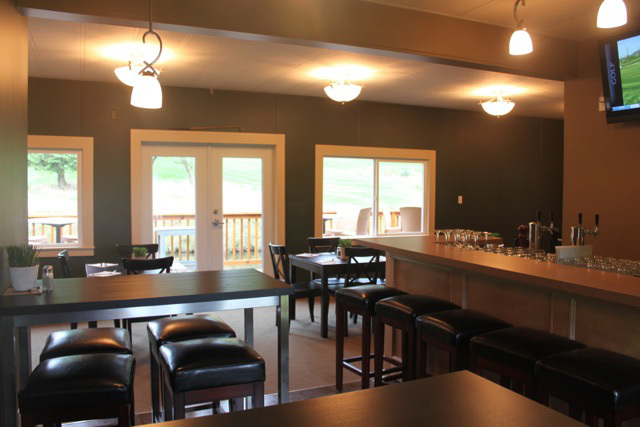 Located at the Bowen Island Golf Club.Serving a full menu of comfort foods including hot soups, sandwiches, burgers, and appetizers. Group and event bookings welcome. 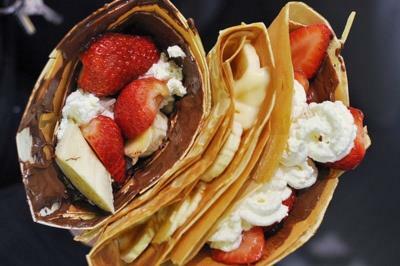 Family style food plus sweet and savory crepes. One of our favorite restaurants on Bowen Island offering fine French Bistro Cuisine using fresh quality ingredients. If you are gluten free or Vegan you will find a plethora of choices. Located on the left as you depart the ferry. "the first restaurant in the cove"
On the Bowen Island Marina pier. 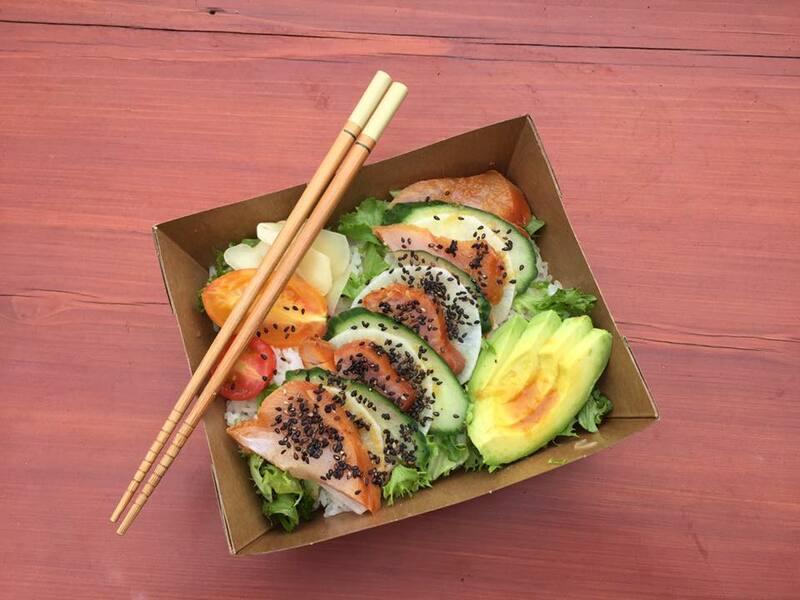 Serving healthy and hearty rice bowls, grilled rice balls, ice cream and treats. 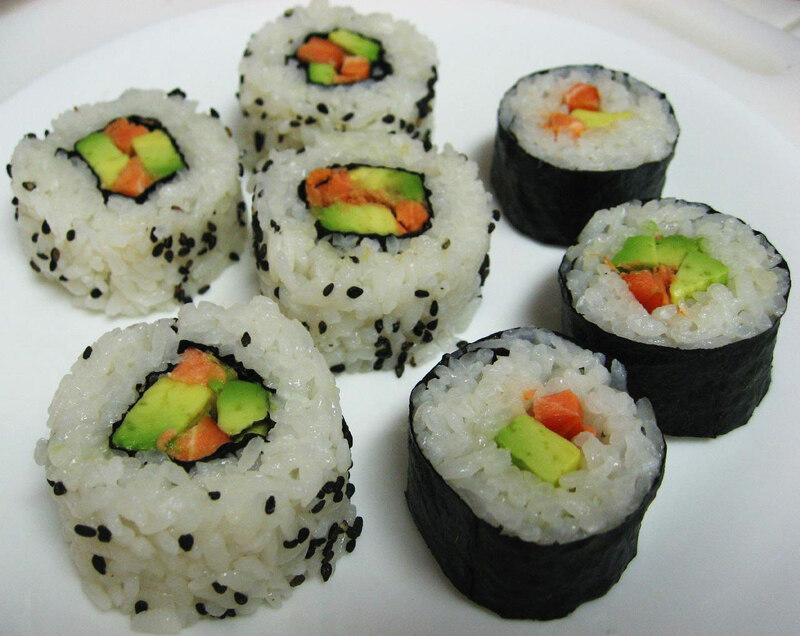 GREAT for a quick meal - filling and yummy. Located in the Heart of the Cove. The Snug offers organic coffees and teas. The Best breakfast on Bowen. Lunches to stay or go. Your favorite beer and wine. We love the breakfast wraps and they offer gluten free toast to go along with a classic breakfast or sandwich. Having a get together or event? Ask The Snug about catering your event or making a special meal for you and your sweetheart. 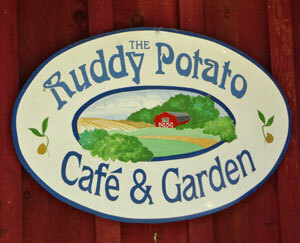 Every Monday to Friday the Ruddy Cafe serves up a variety of delcious hand foods, sweets and lunch items, along with freshly brewed organic coffee, tea and cold drinks. Fresh out of the oven PIZZA Monday, Wednesday and Friday. On the corner of Trunk Road and Dorman Road. Tuscany Restaurant is a family owned and operated restaurant. A bustling European style trattoria nestled in a heritage style house with a lush garden patio. 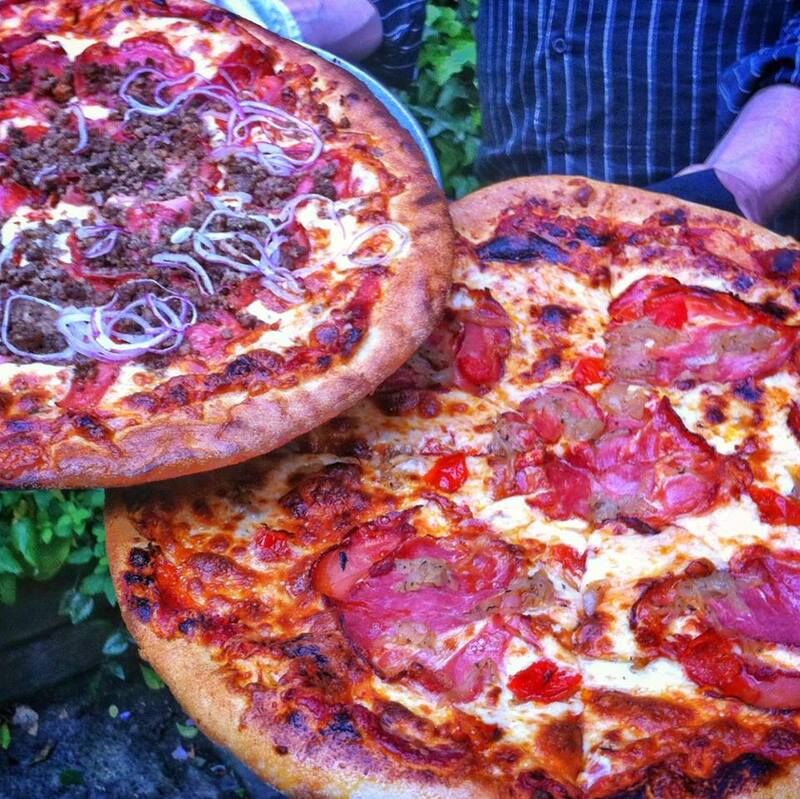 Serving Artisan pizza, rustic Mediterranean cooking and weekly specials! A warm fireplace and a comforting atmosphere throughout the winter and a charming garden patio await you throughout the summer ! After a long day of traveling you might consider ordering your pizza while waiting for the ferry in Horseshoe Bay. 40 minutes later, drive off the ferry, grab your pizza to go, and head to your accommodations to enjoy in the comfort of your own "home." The Lime and Moon Pie Company is a Bowen based, Cottage bakery founded by Stanislava Oben. They specialize in delicous hand-made organic pies, decadent gourmet cookies and European inspired baked delicacies. 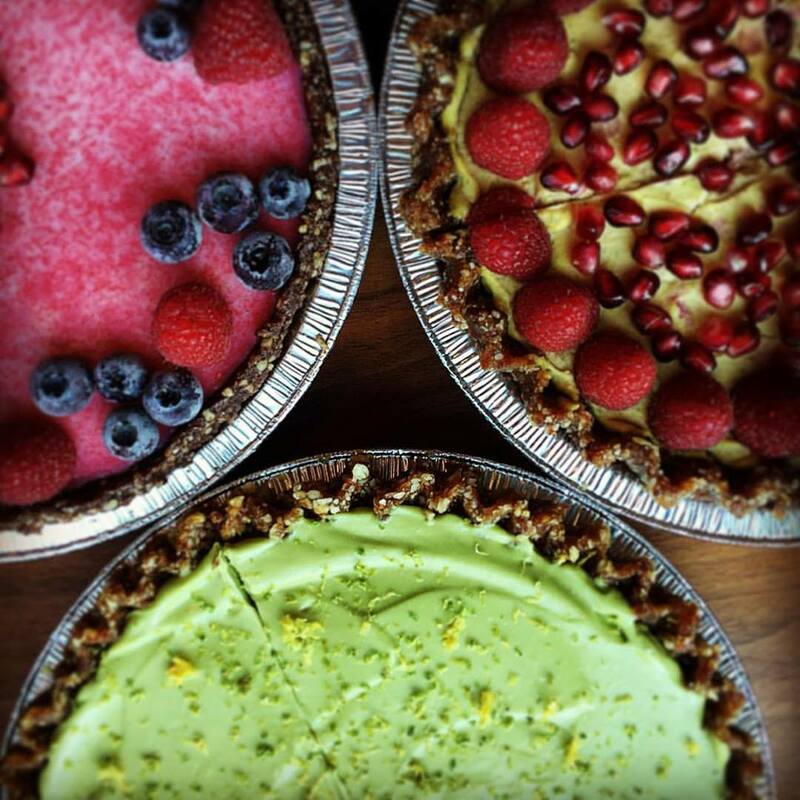 "Always Organic"
Order your favorite pie in advance of your arrival so you will have sweet deserts during your stay on Bowen. Take a REAL vacation... from the kitchen. Have Matt prepare your meals. Make your arrangements well in advance so Matt can source your favorites and have your meals ready for your enjoyment. Are you coming with the girls? Contact Matt for a cooking class........it's all about the food!!! Celebrating a special night? Matt makes romantic dinners for just the 2 of you too. 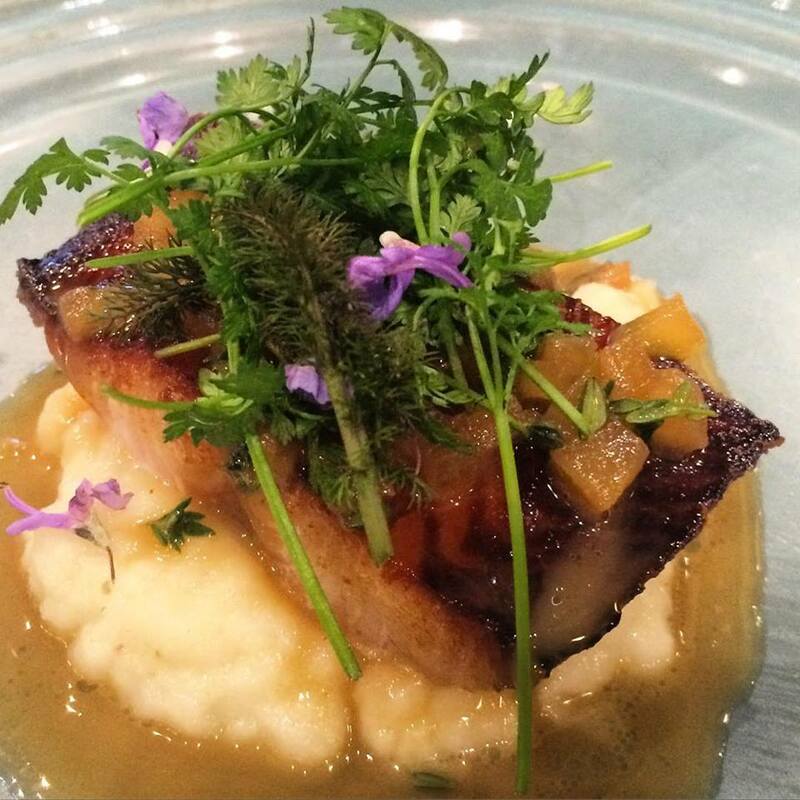 Check out Matt's facebook page for a viewing of some of his gorgeous & delicous creations. 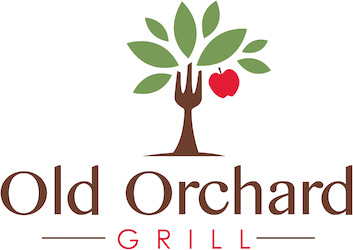 A family friendly restaurant with kid friendly food. Some say they have the best clam chowder on Bowen. Doc’s location is premiere and so are their Fish and Chips! A bustling summer restaurant right on the lawn down by the USS Steamship Marina. For the first time in years Doc’s will be operating through the winter months. Saturday 8 am-3 pm and Sunday 9 pm-2 pm. 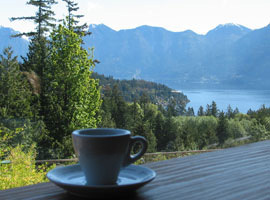 Welcome to The Village Baker Café, home of good food, flavorful Milano coffee and great service on beautiful Bowen Island. We make all our baked goods, breads, breakfast and Lunch products from scratch with the best ingredients locally supplied, where possible. At The Village Baker we are proud of the high quality of our bread. Using traditional artisan baking methods developed in Europe. We use natural starters, no additives and unbleached flour. Breads are baked on the premises from scratch everyday, flavors changing seasonally. The Village Baker Café’ is the talk of the island, the place locals recommend to visitors. The friendly staff, scrumptious food and wonderful ambience bring islanders and visitors back time after time. 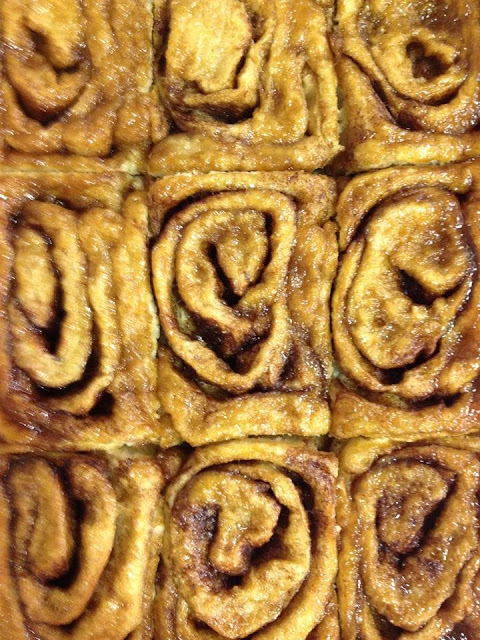 What better way to balance out your yoga session with some Cinnamon Rolls from the Village Baker Café? Well, that’s what the yoga ladies do. Oh, I miss cinnamon rolls and I hear these are delicious!! !